These units are built on our standard 4-wheel fixed axle chassis. 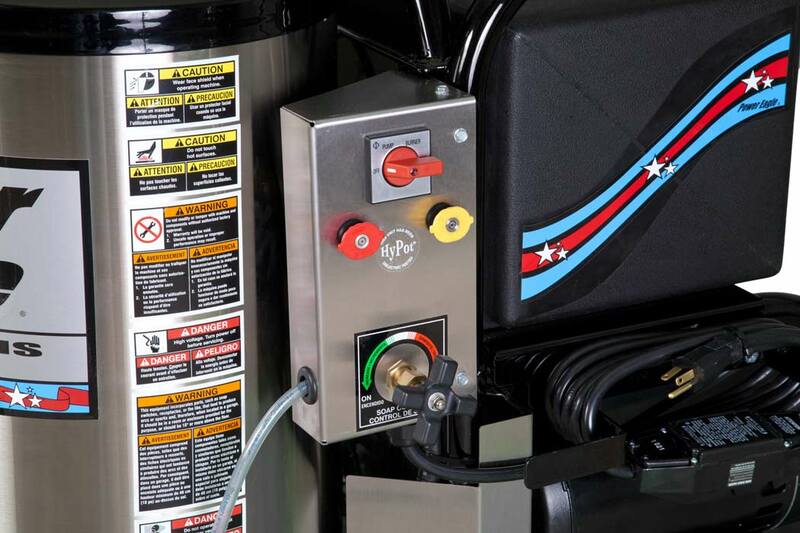 Simple and effective, the FX Series is your choice if you’re seeking a rock solid, basic machine but don’t want to fall into the “economy grade” class of equipment. 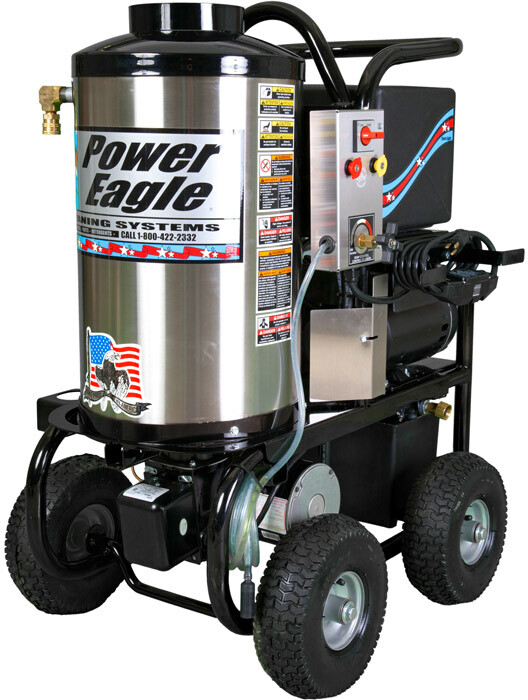 The Power Eagle FX-1602 is made for users who demand a well built yet simple hot water pressure washer. While the FX-1602 is one of our basic models, it still has all the key features which make it just as durable and long lasting as all other Power Eagle equipment. 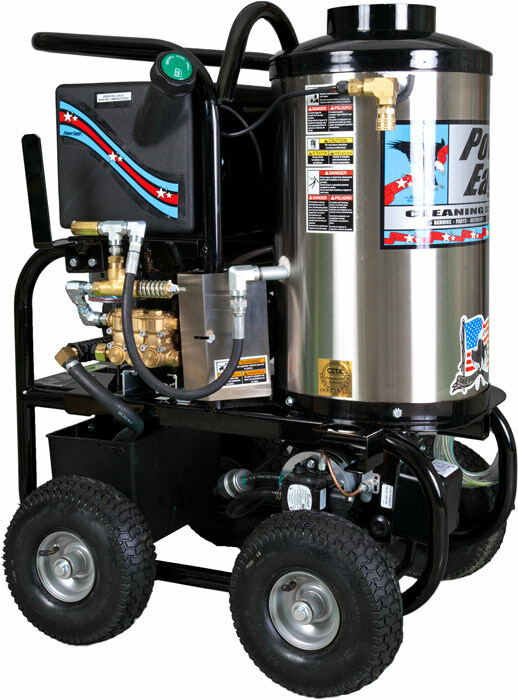 The chassis features a compact 4-wheel design with fixed axles and pneumatic tires and with 1600 PSI operating pressure pushing 2 gallons per minute it is sure to get the job done. 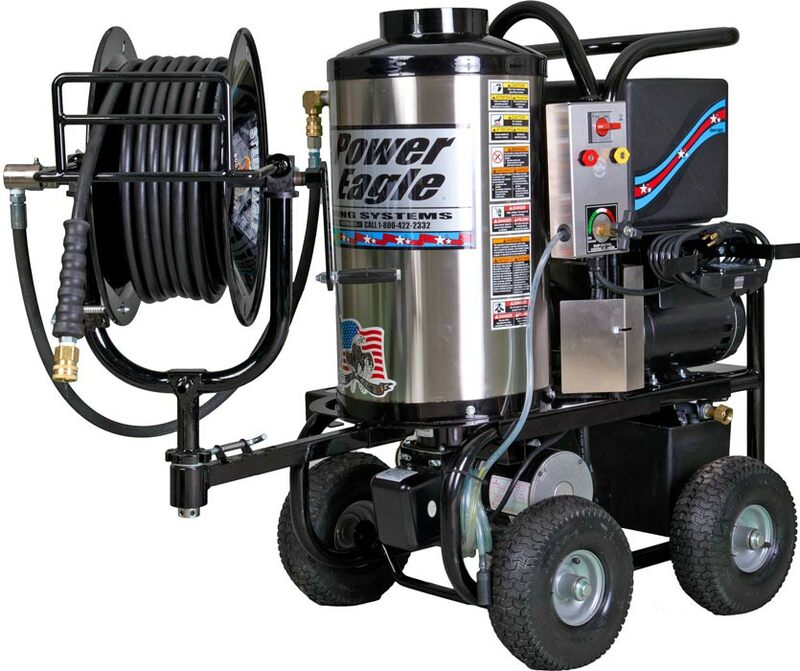 The Power Eagle FX-2503 is made for users who demand a well built yet simple hot water pressure washer. While the FX-2503 is one of our basic models, it still has all the key features which make it just as durable and long lasting as all Power Eagle equipment. The chassis features a compact 4-wheel design with fixed axles and pneumatic tires and with 2600 PSI operating pressure pushing 3 gallons per minute, it is sure to get the job done.